Projects range from new construction to renovation and restoration work. as well as completing projects on time and in budget. We are relentlessly committed to ensuring quality in all of the projects we construct. From groundbreaking through the final finishes, we believe in exceeding our clients expectations with a product constructed to the highest quality standards. We understand the importance of the project schedule. Clients call on Dicky Smith & Company, Inc. because they know we always honor our commitments. When DSC commits to a project you can be assured it will be delivered on or ahead of schedule. We have a strong track record for developing innovative ways to achieve the needs of our Clients and Designers while staying within budget. Budget and value are always considered while maintaining all other points. 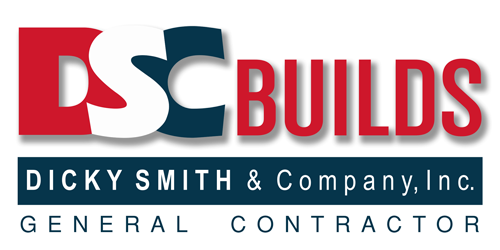 We are dedicated to providing a safe and healthy working environment for all employees and subcontractors. On the job safety is priority number one, and DSC is proud of our safety record with zero serious jobsite injuries since we started business in 1989. DSC is a drug free workplace. Through hard work, dedication, ingenuity and collaboration, Dicky Smith & Co Inc shall relentlessly pursue excellence in all projects and endeavors it undertakes. Excellence shall not be defined by any one metric, rather by all factors involved in bringing a project to life and building a successful team. For each and every project we shall ensure that the performance and product we deliver leaves our Clients and Business Partners holding our Company and Staff in the highest of regard. Michael Antonopoulos and Assoc., Inc.
Basham & Lucas Design Group, Inc.